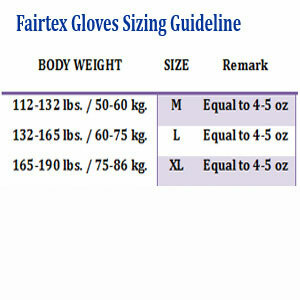 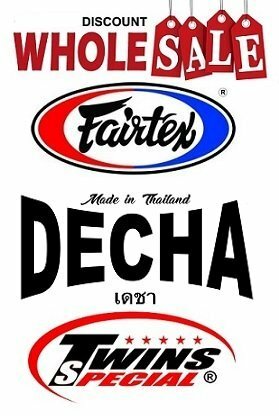 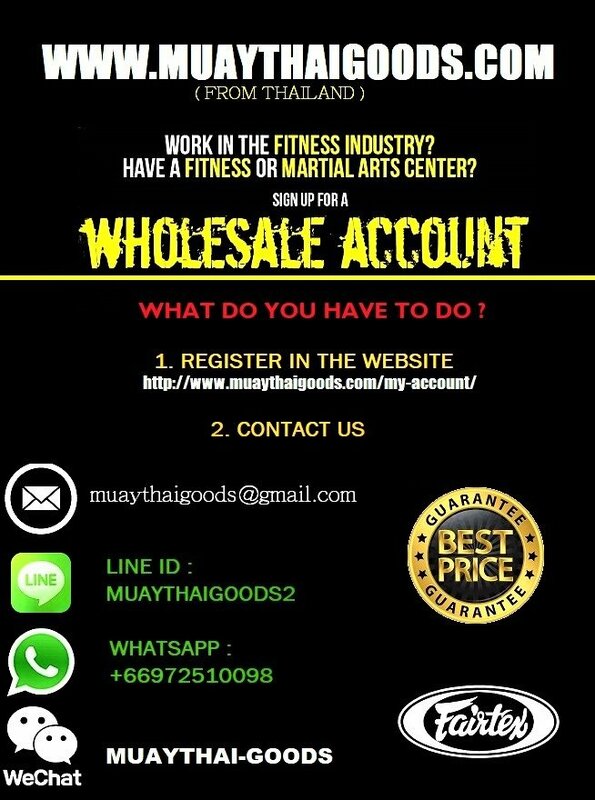 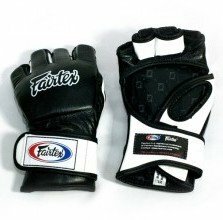 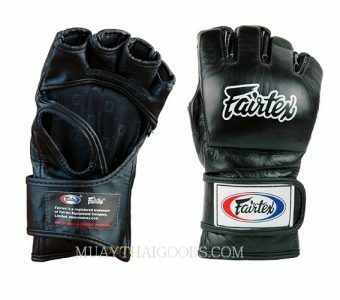 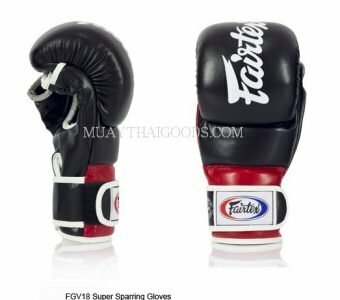 Fairtex Originals with supremely natural feel for maximizing functionality, comfort, and durability during intense MMA competition and training. 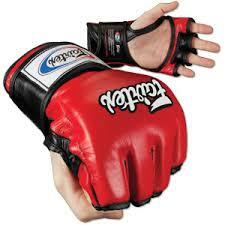 Fingers are split at base for unimpeded dexterity and ventilation. Longer fingers add extra protection to knuckles. 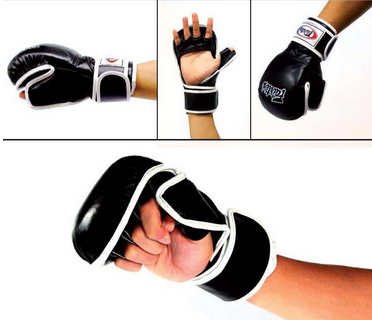 Patent-pending ergonomic “open palm” hand compartment for maximum hand sensitivity. 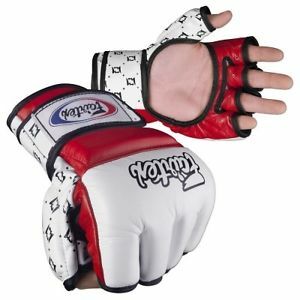 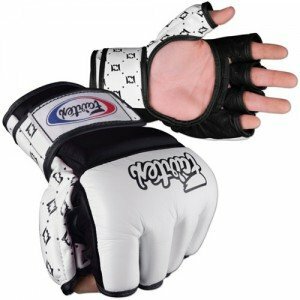 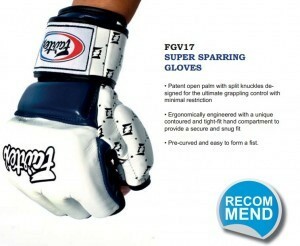 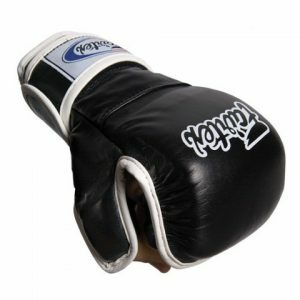 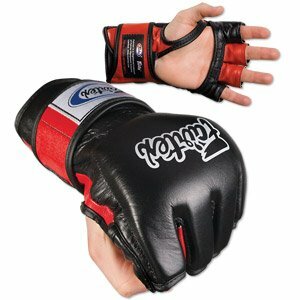 Contoured knuckle padding supports safe punching from all angles.